Blindspot helps Seven win Wednesday, but….. Does American drama still work on Free to Air television? That’s the question execs have been challenged with while viewers drift to SVOD services for -ironically- American television. 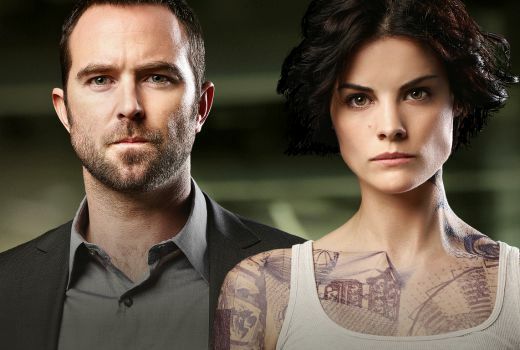 Last night Seven debuted Blindspot after weeks of holding it back. While that afforded them bucketloads of promotion, it also gave pirates time to illegally download it. In the end the show began with 888,000 viewers, only beaten by Gruen‘s 904,000. In the current climate that’s a good result for 8:30 -but as a comparison we’re a long way off The Blacklist debuting with 1.59m just 2 years ago. Elsewhere The Block had its best Wednesday outing and a modest lift for Celebrity Apprentice. TEN had a lousy night with Modern Family not helping Madam Secretary and The Good Wife -two more good US dramas struggling on Free to Air. Seven network won with 30.5% then Nine 27.8%, ABC 19.2%, TEN 16.4% and SBS 6.2%. Seven News topped the night with 1.03m / 953,000 then Highway Patrol (992,000), Blindspot (888,000), Border Security (857,000), Home and Away (756,000), The Chase (630,000 / 385,000) and The Blacklist (465,000). The Player was 188,000. Nine News (996,000 / 984,000) was best for Nine then The Block (945,000), A Current Affair (939,000), Celebrity Apprentice (599,000) and Hot Seat (531,000). Extreme Phobias: Spiders was 225,000. Gruen (904,000), ABC News (834,000), 7:30 (734,000), Kitchen Cabinet (687,000), The Ex-PM (580,000), Antiques Roadshow (282,000), Sammy J and Randy in Ricketts Lane (212,000) and the final How Not to Behave (196,000) comprised ABC’s night. TEN Eyewitness News was 554,000 then The Project (486,000 / 430,000), Modern Family (400,000 / 378,000), Madam Secretary (372,000) and The Good Wife (275,000). On SBS it was Great Continental Railway Journeys (298,000), 24 Hours in Emergency (240,000), Fargo (177,000) and SBS World News just 91,000. GO!’s Big Bang led multichannels at 222,000. 888k is lucky. It will probably make 1.1m with the +7s. 40s aren’t going to watch the rapid paces nonsense the US Networks make to target <40s in their domestic market. Nine decided this when they dropped their only US output deal and now boast about not showing and US dramas. US content will increasingly move to Foxtel and SVOD. I know it’s the strongest number for Wednesday block this season but 9 really has to reconsider the long term viability of this (stupid) show. Compared to the other countless blocks earlier this year, the numbers look to be down quite a bit. Amazingly I was able to switch from the end of Blindspot on 7 last night and catch the opening seconds of The Good Wife. Then TEN actually ran Hawaii Five-0 as advertised. Didn’t watch The Black List or Madam Secretary as the repeats later in the week are at times when there’s nothing better on. In recent years Ten has started playing new Modern Family eps around now; do you know David if there are any scheduled? Apologies if i’ve missed a post about this, but hadn’t seen any promos yet either. Hmm, not that MF will do great figures, but Ten have to do something to maintain what has been a good winter and spring in terms of getting eyeballs early evening to help those later shows. It’s disappointing that they didn’t fast track the original NCIS. When they do air it next year it will be on at a much later timeslot due to reality finishing late. People are absolutely crazy not to watch Fargo, such a great show, get on it people! Speaking of great US TV…I can’t believe Fargo got such low figures, down from over 200k last week. It’s phenomenal. Yep, travesty. I wonder whether all those sneak-peaks got a bunch of people to watch the first eps who were never going to warm to its charm. Also, I thought that it started off a little flat (for Fargo) because it had set the bar so high with the first season. Yeah, the comic interplay between big characters like Malvo (Billy Bob Thornton) and Lester (Martin Freeman) is absent in the second season, but it’s still a great show. They seem to be concentrating on plot rather than characters this time. Miss those big characters such as Malvo, Lester and Deputy Molly. But still a brilliant show – Season 2 did start off a little flat but is fast gaining momentum. Love the character of Mike Milligan – menacing and compelling at the same time. Yes, I meant to say that the first couple of eps didn’t have the full-on quirky characters (and character quirks) of the first season but got distracted and hit ‘Submit’ before I typed it. However, really enjoyed last night’s ep and noticed some more of the nice little touches; eg Joe Bulo discussing which shampoo he uses and getting Mike Milligan to feel his hair. The only thing I don’t like about it is Jeffrey Donovan as Dodd. Liked him in Burn Notice but he’s just not working for me in this. I can’t tell whether he’s trying to play it straight or with understated comedy but it just comes across as awkward. I think it’s worth noting that Highway Patrol was only 4000 off second place – and this is on repeat. Disclaimer – we produce it – but its performance often seems to get overlooked. HP is listed along with plenty of shows, but thanks.